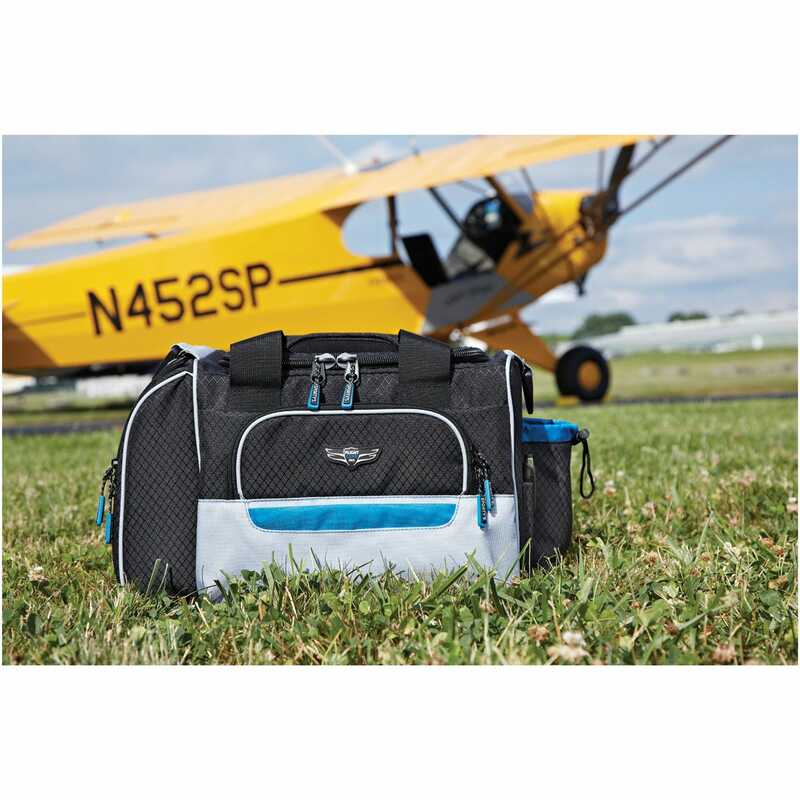 Perfect for student pilots and weekend warriors, this bag was designed around the beginning pilot. Enough space for a headset and books, yet small enough to not throw off your weight and balance. The most important feature students wanted: price. 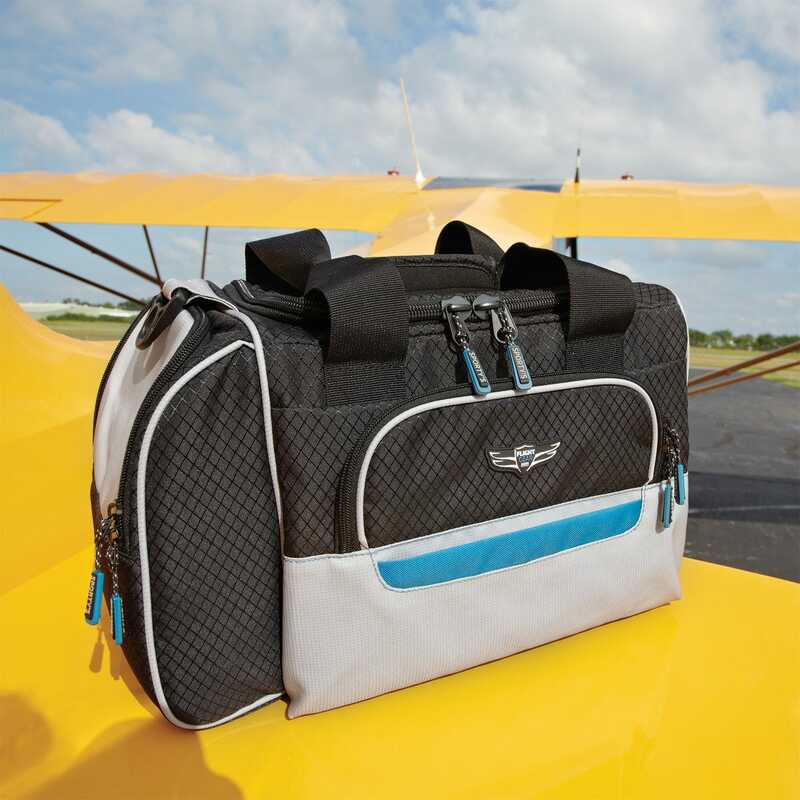 Put more cash towards flight training and less towards gear with the Crosswind Flight Gear Bag. 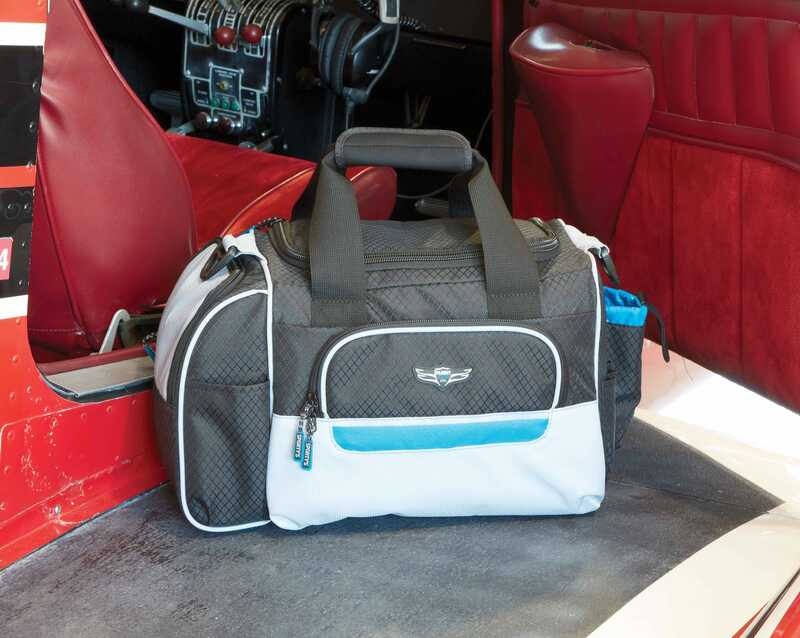 The Crosswind Flight Gear Bag offers the perfect balance of price and performance. 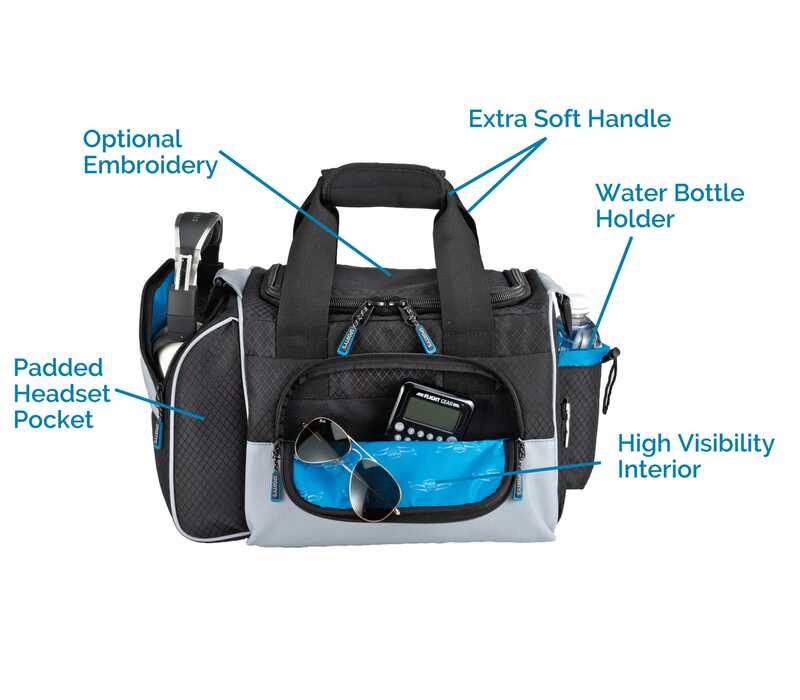 Exterior measures 16” l x 8.5” w x 10” h. Interior of main pocket measures approximately 12" l x 7" w x 9" h. Optional embroidery available on the top entry flap. enhancements you wanted on the next line of flight bags. Add the thousands of reviews we’ve received on our previous bags, and we had a massive list of features that really matter for pilots. Every pilot has their own list of must have items for flying, but everyone’s list is different. 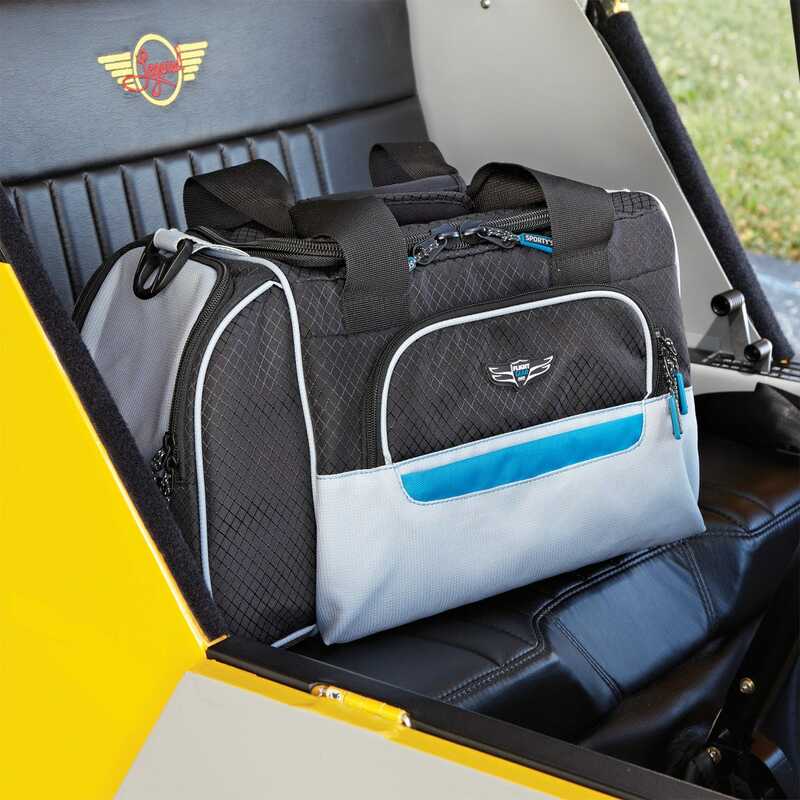 Bags must be customizable to adapt to the needs of modern aviators. We’ve accomplished this goal by having a line of optional accessory pockets called Gear Mods that can be moved from one bag to another. We took this a step further and made our Gear Mods compatible with our iPad kneeboards, so you can add accessories to the side of your leg. After all, searching for a charging cable and backup battery pack can be a real pain in a tight cockpit. It is amazing. Could not have a better bag than this one. Perfect for the single pilot VFR and IFR flight needs. Holds my Zulu headset, and all needed flight accessories (iPad, pens, flashlight, notepad, and related articles) Easy access, compact. A good choice. My husband is almost blind. He can see inside the bag with the light blue liners. 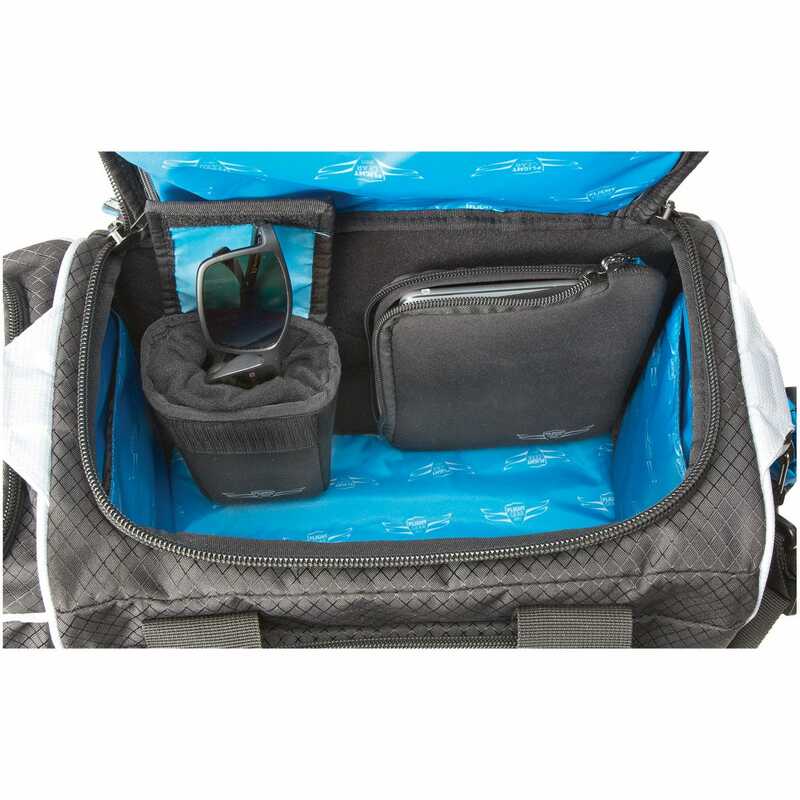 This flight bag has a solid construction without being heavy or bulky; it looks sharp and feels good in-hand or over-shoulder. The size is right for a basic flight bag: I can fit all my basic paperwork (charts, AFD, logbook, kneeboard, etc.) and "flight stuff" (RAM mount, knife, flashlight, batteries, etc.) inside, including a second headset. The headset side-pouch is perfect for my David Clark set. (To be clear, this bag has one headset-specific side pouch). I had planned to keep a water bottle in the side-pocket, but it's just barely too tight for that - appears to be designed for a fuel tester. 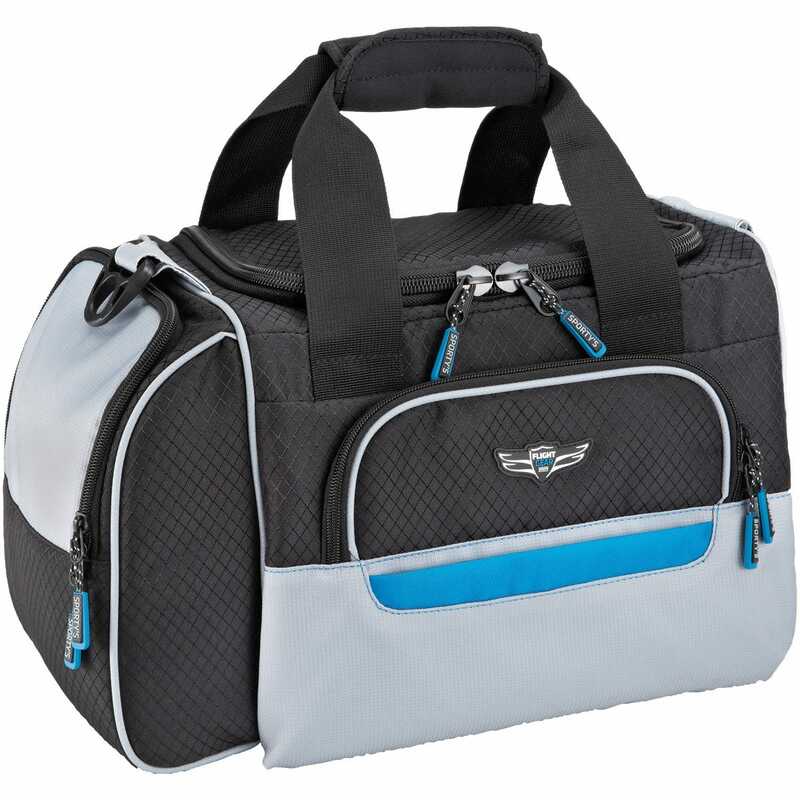 The main compartment is just a tiny bit too short for an aviation scale, too, if you're planning to do draw on your sectional on the go. If you pack very light, you could probably also make this an overnight bag. 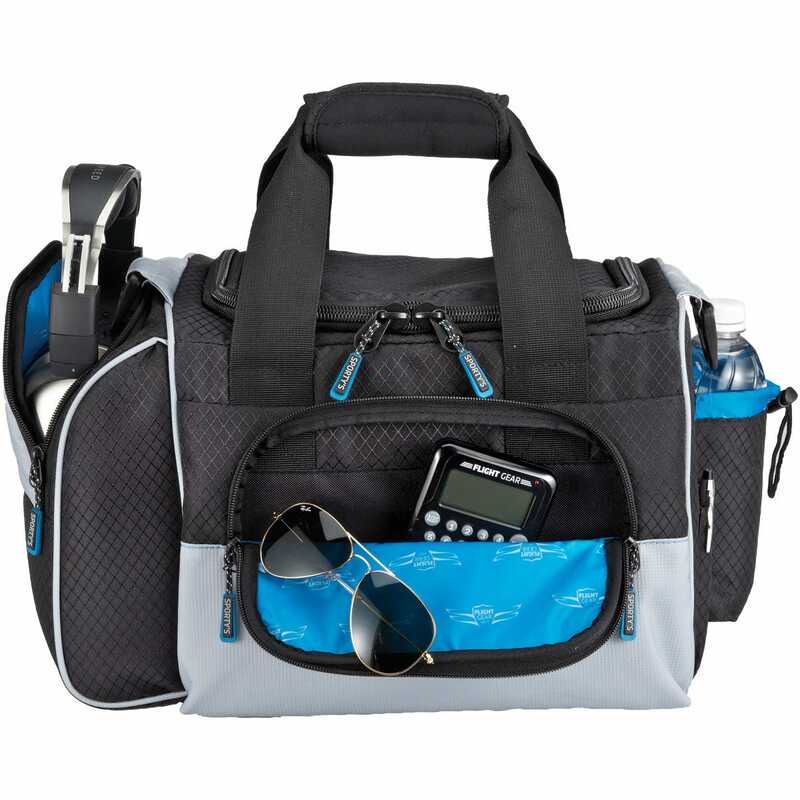 A very good value for a sharp-looking and functional bag! I love this bag! It holds everything I need for my flights and looks pretty awesome at the same time! I would highly recommend this to any student or private pilot! 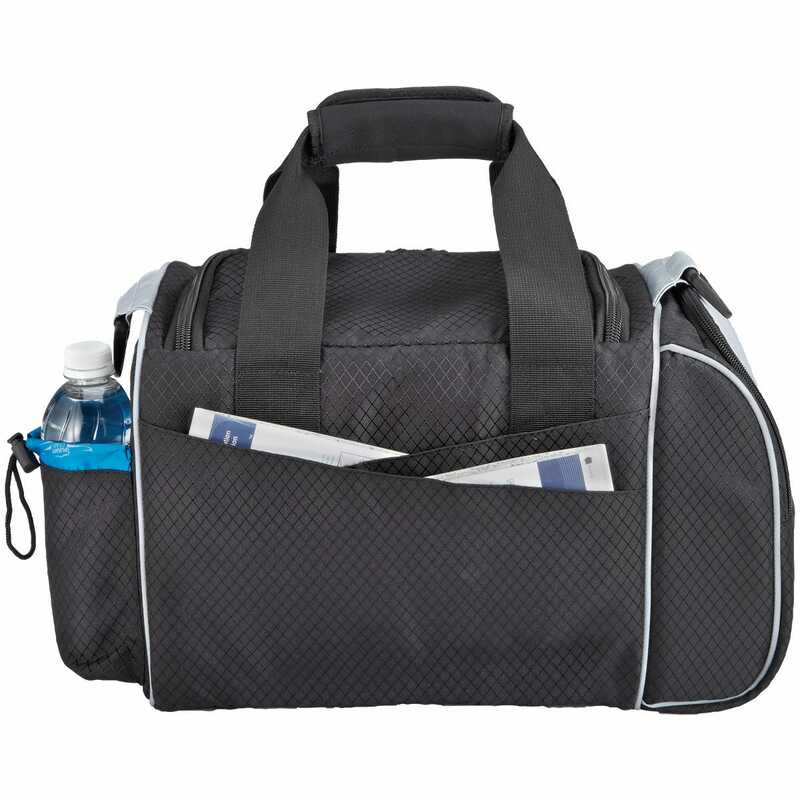 Crosswind bag- perfect for under airplane seat, even an aisle seat which is sometimes narrower than the others. Bought it as it has a bottle holder on the outside, very handy. Interior easily held: 2 lbs of peanut m&ms, large pair sunshield sunglasses, large stuff bag, paperback book and sock yarns and some various knitting supplies. Outside pockets held iPhone, iPod, charge cords and adapters, paperwork. All in all a good buy. Could be a little longer. Very practical for cross country flight. I’m satisfied with this new bag. Excellent flight bag. Monogram is well done. I am able to organize items in the bag to easily find them..
MUCH better than the backpack I was using.. Backpacks just don't make much sense for flying, and I never realized it until making the switch. Perfect fit for my ipad, kneeboard, sentry + mount, charging cables, Bose A20, 2 life vests + flares, and many other small items. 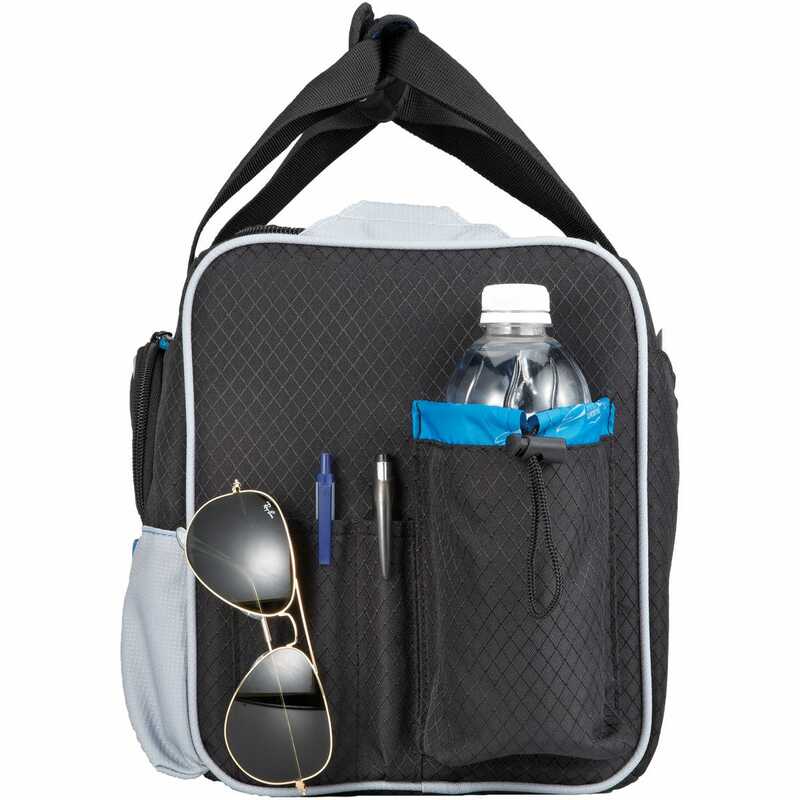 Stable and doesn't tip over like a backpack.. keeps items within easy reach. It was perfect! My son LOVED it and said it was the perfect size. The monogram was the added touch!! BEST ANSWER: That outside pocket is larger than it looks - I measured inside and it is 11" wide by about 7.5" length inside the pocket. 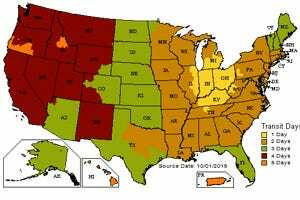 I have a full size E6B in mine with room to spare. BEST ANSWER: At least, Width 12, Height 9.5, Depth 9. It's soft sided so you can squish out a little more near the center. 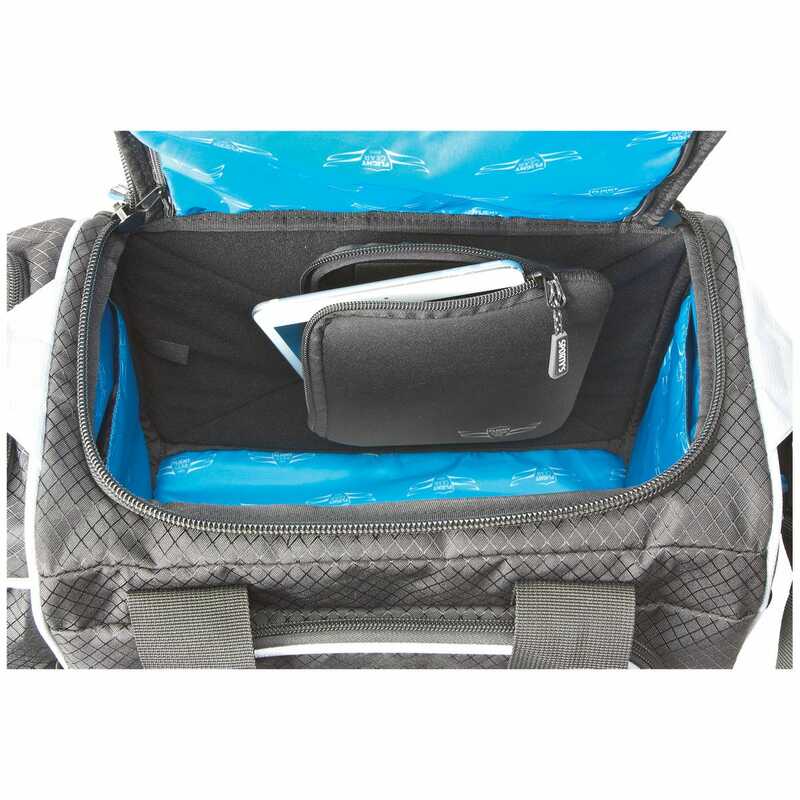 Can the sportys small logbook case fit in the big pocket on the front of the crosswind bag? BEST ANSWER: It fits quite easily in the front zipper pocket. 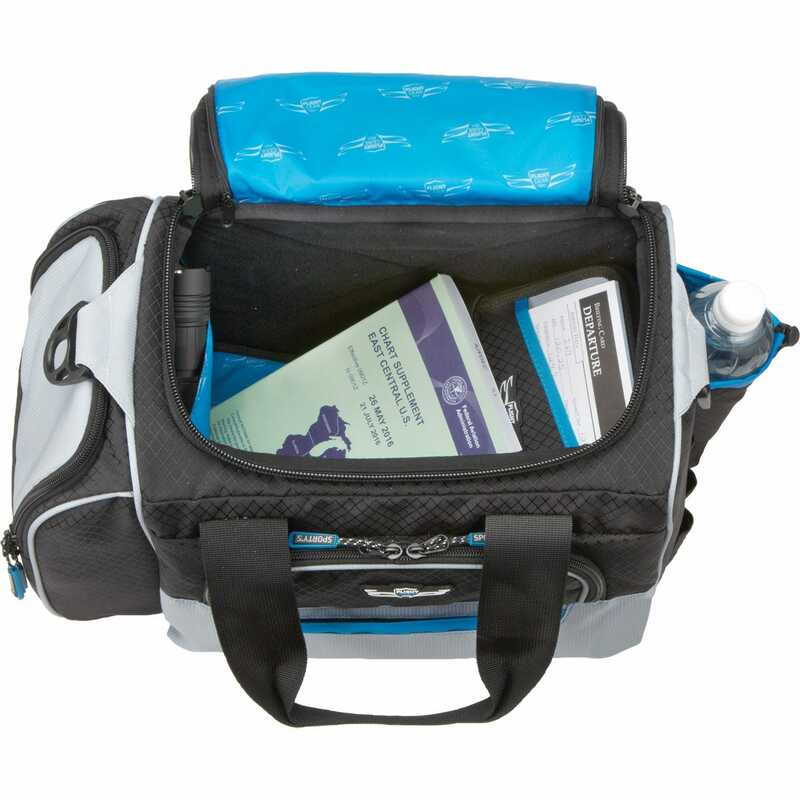 One of the pictures of the exterior of the bag shows a pocket on the left side that could be used to place the fuel sump tester. The rest of the pictures show that it does Not have the pocket. Which is accurate? 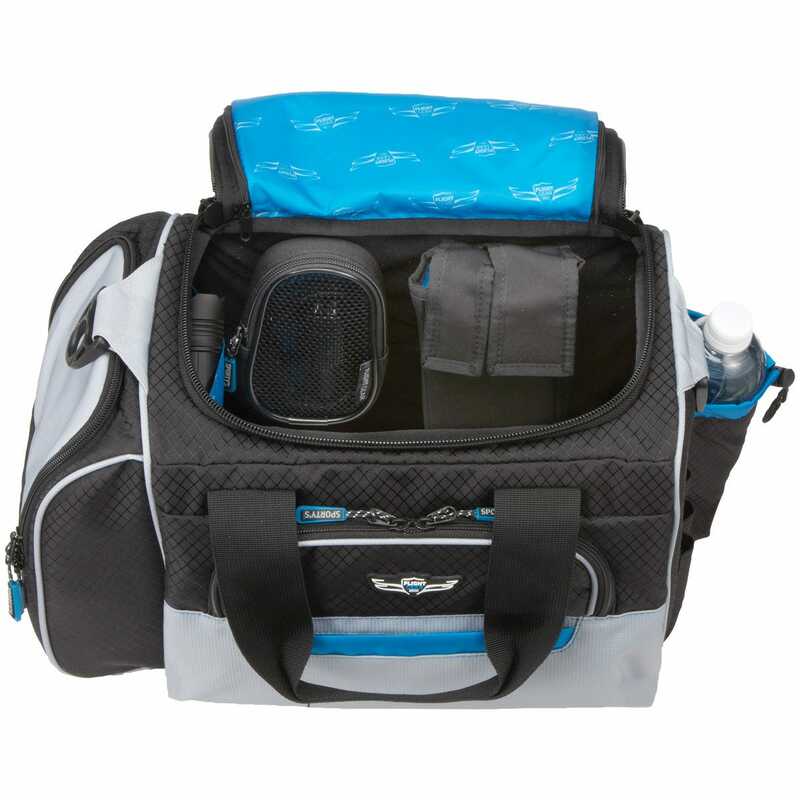 BEST ANSWER: The flight bag does have a pocket for a fuel tester/water bottle. Can someone messure these two bags and please give me exact dimensions for the captain's bag and crossword bag????? does the ipad mod work with crosswind flight bag? BEST ANSWER: Yes, the iPad mod works with all of the Hp Bags. Will it hold an iPad Pro (the 12 inch one)? BEST ANSWER: Yes, but it is pretty tight. The iPad Bag fits it better. Hello happy owners... Im Private Pilot working on my Commercial. 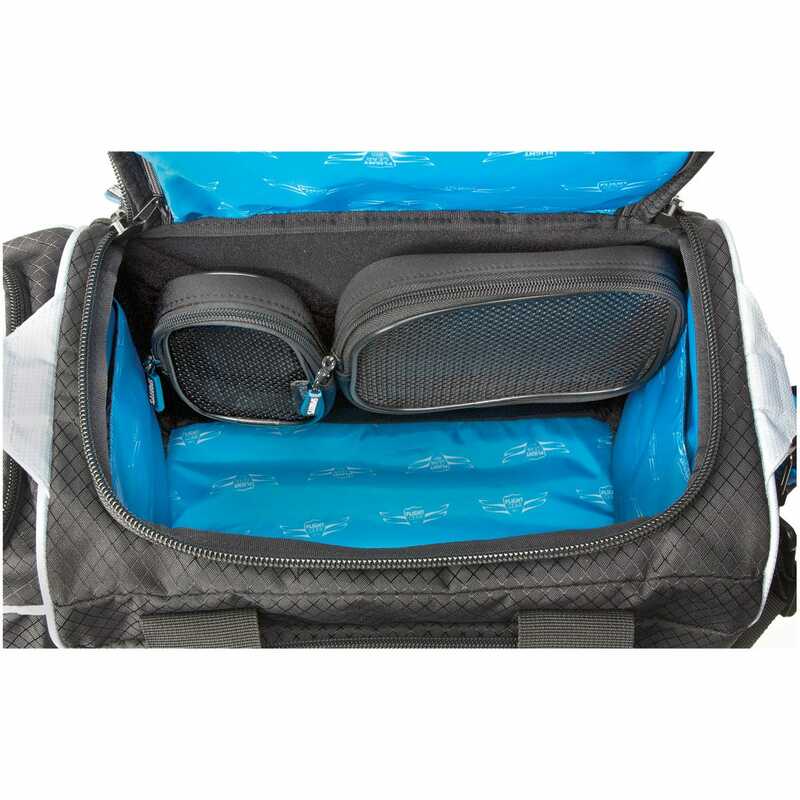 Did you think this flight bag can carry a PHAK book, FAR/AIM and a David Clark headset? BEST ANSWER: It can easily hold all of these. I typically don't put my D.C. headset in the bag but it has room for it. The PHAK book you'll have to lay flat down, the FAR/AIM can go either flat or upright. 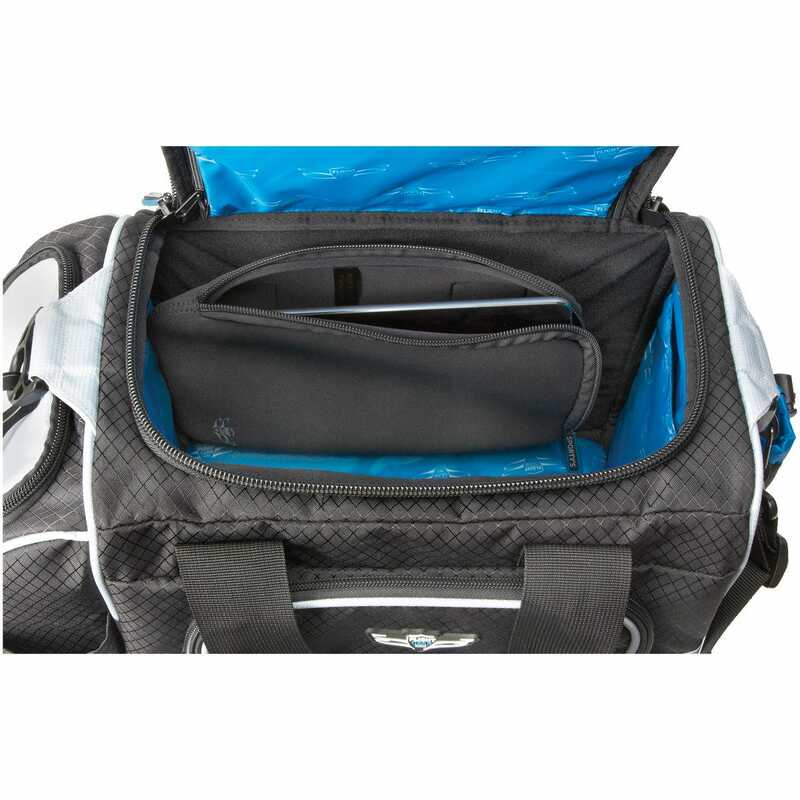 Side pocket is a little tight for the headset but main compartment has plenty of room. I typically put an extra handheld radio, flashlight, spare charts, and kneeboard in there and it all fits. My bag fill up with kneeboard, headset, spare cloth, snack, and sunglasses..
it's the only flight bag you'll ever need begin have to carry your headset iPad knee board books etc. Absolutely! All that and more! I'm an instrument student with tons of toys and it all fits inside. Yes, and I carry a small shaving kit in mine as well when I can't get home as planned. What is the dimensions of the headset pocket? BEST ANSWER: The headset pocket measures 7.5" x 10" x 3.5". It fits my David Clark H10-13.4 nicely. Hard to measure but i use the Bose A20 and it has plenty of room for the headset and the cable. I bet larger headsets would feet great as well. Without measuring because I don't have it with me right now I can tell you that my headset(Faro G2) is quite bulky and fits perfectly. The size of the pocket is roughly 7"W x 10"T and 3.5" Deep. It is also lined and very spacious. It fits my large David Clark H10-76s WITH a pigtail adapter without smashing it. Can this flight bag carry a PHAK book? BEST ANSWER: I love this bag...very durable. The end pocket is the same height and width as the one on my Avcomm bag, where I once stored my PHAK book. The only difference is that the top of this pocket is curved, rather than squared off. However, it seems as though it should fit just fine. Yes, but a phak won't sit flat against the bottom as it is slightly wider than the bag. Yes it can with ease. Will a regular three ring binder fit in this bag? BEST ANSWER: My ASA Study guides fit in it... They're a typical "book". The length and width would be fine and I would say the height should fit also. Do flight bags have Velcro back strap to attach to luggage handle? BEST ANSWER: No, it does not have a Velcro Strap. Does the side water bottle pocket fit a GATS jar? BEST ANSWER: Yes, it will hold a gats jar. What is the Silhouette option!? BEST ANSWER: Please go to the product page and scroll down to the bottom of the page. The options and silhouettes are listed there. What are the exact dimensions ofthe main compartment? Where would they put embroidery on this bag? BEST ANSWER: The embroidery would be on the top flap under the handles. 1) In the description, it says "Padded internal iPad pocket" i cannot see this on the pictures. if possible, could i have any pictures of this or any information. 2) second question is that would this be ok to send to Mexico? BEST ANSWER: The padded iPad pocket is on the inside of the front zipper pocket. I do not have a picture of the pocket. BEST ANSWER: This bag does not have a specific place for the iPad. Why cant i see the embroidery options?? BEST ANSWER: Please scroll to the bottom of the products page to see the embroidery options. BEST ANSWER: No, I had the small bag and it had some cardboard in it to keep its shape. Ruined it. 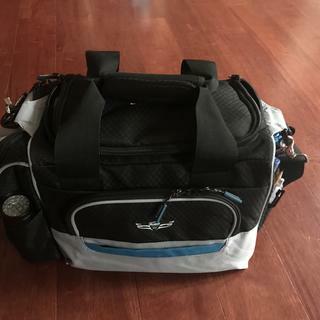 Purchased the captains bag with two headset sides as replacement. Just use dishwasher detergent and a brush on small areas. Since mine has two Bose headsets and an iPad in it I don’t throw it around on the ground so it stays clean. One thing, get the big bag so you can grow. You might have just one headset now but you’ll find you will purchase another for your friends whom aren’t pilots and all the other stuff you’ll accumulate. It’s a nice bag and I like it. Also purchased the smaller pouches to hold wires,plugs,charging cables, etc. Staff answered it has a fuel tester/water bottle pouch, the water bottle holder is on opposite end of headset holder where the pouch I see is only in one picture but not the rest, which one is correct? BEST ANSWER: The fuel tester pocket is on the side of the headset pouch. The water bottle pouch in on the end. If you look at the fourth picture, the one with the red background, it shows the fuel tester pouch. Yes, but the other 14 pictures don't show it, so which is right the 14 or the 1? When was the last time you actually inspected the product? The picture that shows the fuel pocket on side of the headset pocket is correct. I'm actually looking at this for husband to fit atop 4 wheel carry on luggage. Needs to hold his shave kit, newspaper etc...stuff he needs as passenger. Is this the correct size? Does it come with any mods or is that all separate? BEST ANSWER: The mods are all separate. I might be blind, but what's the weight of the crosswind bag? BEST ANSWER: The bag itself weighs approximately 3.5 lbs. BEST ANSWER: The material is a "Rip Stop polyester blend". The rip stop is the way the material is sewn it will prevent a tear from continuing along the material. Can you fit a4 ifr kneeboard in the crosswind bag? 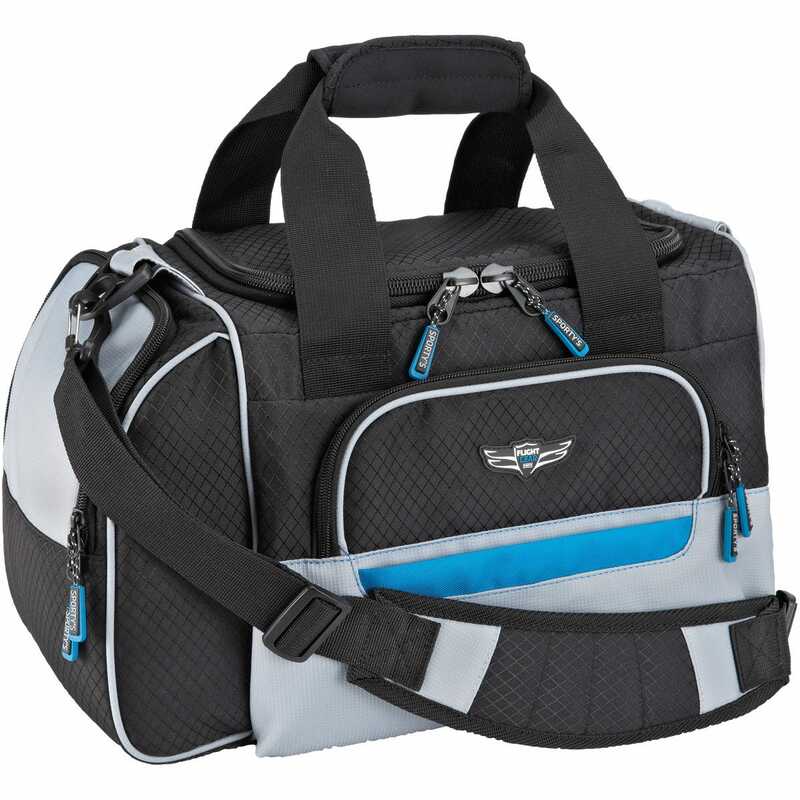 BEST ANSWER: The flight bag measures 16" long x 8.5 " wide by 10" high. Will It Fit a binder? 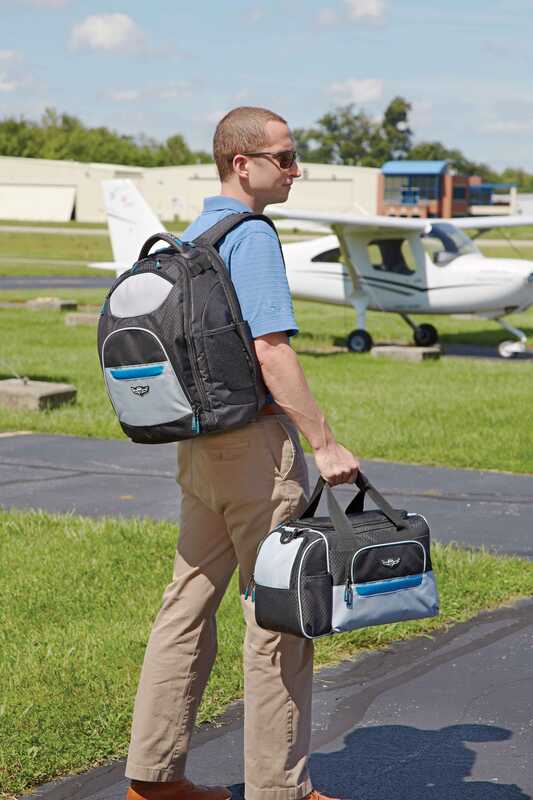 Thanks a lot...as a student pilot at a flight school with books and binders, would the captains bag be better?